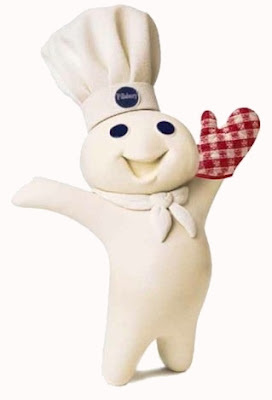 The black eye the Pillsbury Doughmagogue got Wednesday from the Nebraska Legislature means that babies will live. That Medicaid money will be saved. And that, here in this beautiful corner of the Great Plains, the founders' words mean a little more than they did the day before. Not white men. Not Anglo-Saxon men. Not American men. All men . . . and women. And children in the womb. ONCE AGAIN in this state, future American citizens in the wombs of their mothers -- whether those mothers be poor, undocumented or both -- won't be regarded by the state as throwaway stepchildren of a lesser god. 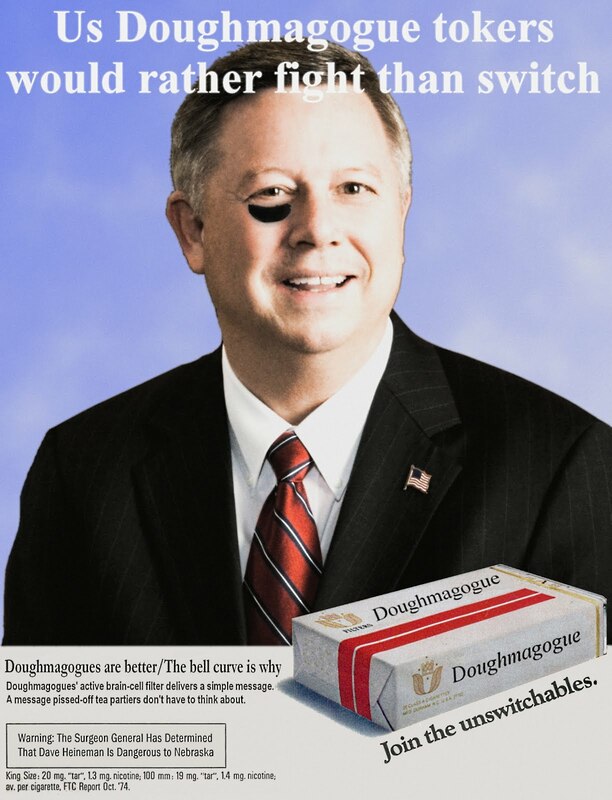 No thanks to our petulant and Mexican-baiting governor, Dave Heineman, who consistently has seen feeding on the bottom as a sure path to coming out on top. Teary-eyed supporters predicted Wednesday that the Legislature's decision to restore taxpayer-funded prenatal care for illegal immigrants will result in fewer newborns with birth defects and fewer expenses for intensive care stays and delivery room complications. “For the women, it means they won't have to worry anymore. They can come and get care,” said Andrea Skolkin of South Omaha's One World Community Health Center. Lawmakers voted 30-16 to override Gov. Dave Heineman's veto of Legislative Bill 599. The governor predicted that the 2012 legislative session will be remembered most for providing free health care for illegal residents while allowing cities to raise sales taxes on legal residents — referring to the lawmakers' override of another veto. The vote on the prenatal care bill came at the end of the session's last day, providing an emotional finale to what has been a rough-and-tumble session. A similar prenatal care bill was withdrawn from the agenda two years ago, lacking enough votes to pass. This year, a new estimate of the expected fiscal impact of providing the care placed the state's annual cost at about $560,000. That was less than the cost to taxpayers and hospitals for just two cases of extended neonatal intensive care for babies born to women lacking prenatal care. One case cost more than $800,000. Sen. Kathy Campbell of Lincoln, a leading supporter of LB 599, said charities and private donations cannot be counted on to finance the care. Clinics in Omaha and Columbus reported dramatic increases in the number of women seeking free prenatal care, but also several cases of women skipping the care or coming in too late to address early developing problems in their babies. Health professionals have said that for every $1 invested in prenatal care, savings of up to $4 is expected. Despite lobbying by Heineman and other foes of the bill, only one previous supporter — Sen. Tom Seiler of Hastings — switched from supporting the measure to opposing the override.